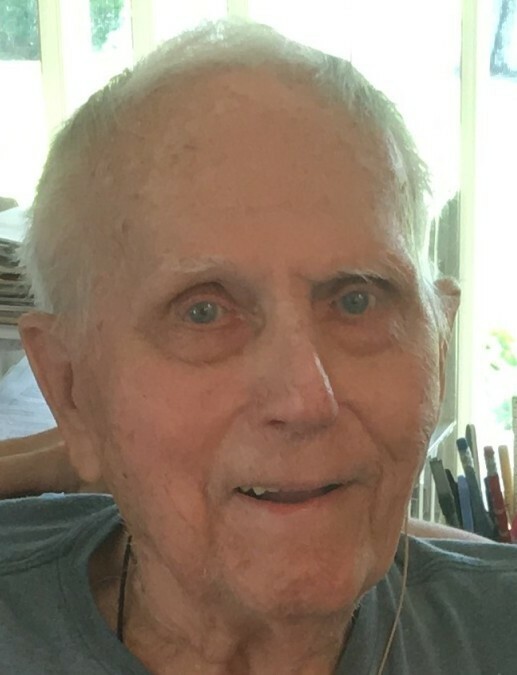 John F. Hanrahan, 92, of Clearwater, FL, died at home on March 27, 2019 surrounded by loved ones. Born June 6, 1926 in Susquehanna, PA, he is the son of John and Lucinda Hanrahan of Deposit, NY. He married Mary M. Tyler in 1948 at St. Peter's Roman Catholic Church, Rome, NY. He was a devoted father to their three children, John F., Jr. (Sharon) of Madison, WI, Dr. Mary Pat (Richard) Francisco of Kingsport, TN, and Maureen K. Newcomb (Kenneth) of Alburtis, PA.
John attended Miami University of Ohio and graduated from University of Rochester (NY) in Chemical Engineering, where he received the Charles L. Newton Prize. He worked in chemical sales and marketing for Eastman Kodak and Tennessee Eastman . He enjoyed an early retirement and 22 wonderful years spending summers at their camp on Woodhull Lake in the Adirondacks of NY State and winters in Clearwater, FL at On Top of the World. He will be greatly missed by his loving children and five grand children, John F., III (Maggie Bach), Brooke (Bryan) Foxworthy, Julie Newcomb, Emily (Steven) Menard, Andrew (Kim) Newcomb and eight great-grandchildren, Bridget and John Lee Hanrahan, Ashton, Tyler and Maxwell Foxworthy, Madeline and Steven III Menard and Sophia Newcomb. Also surviving are Aunt Lucille (Richard) Leidig of Rome, NY, sister Doris Nolan of Guilford, CT and many generations of cousins, nieces and nephews. The family extends a special thank you to Maddie and Anne for their loving care till the end and Light of Christ Church. John will be cremated per his wishes. His final resting place will be with his wife in Rome, NY. Burial will be July 2019. In lieu of flowers, memorial contributions may be made to Light of Christ Catholic Church, 2176 Marilyn Street, Clearwater FL 33765.